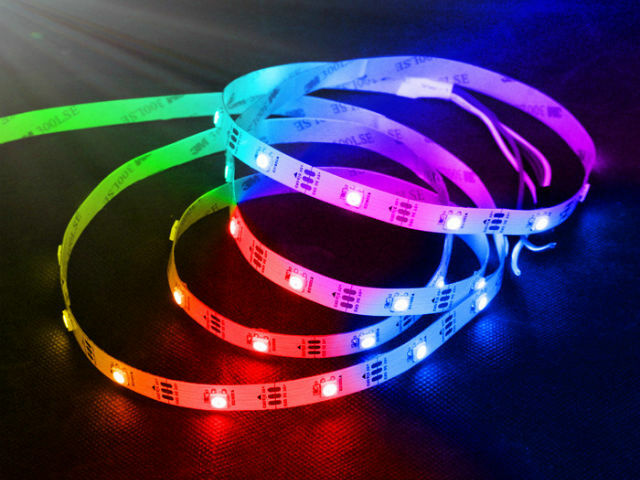 TME’s offer now includes RGB LED strips from WORLDSEMI. These are LED strips with a supply voltage of 5VDC. Thanks to this fact, it is possible to control them with the use of electronic systems operating at 5V. Their construction is made from RGB LEDs with integrated controllers, placed in 5050 packages. Each LED can be controlled individually; it is possible to choose colour and level of brightness of each diode.